T.I. 's former restaurant employees have hit the rapper with an amended federal lawsuit over the alleged fraud. T.I. 's restaurant, Scales 925 in Georgia, wasn't as much of a success as he and his partners thought it would be. After opening up in 2015, they closed the doors to the restaurant in 2016 before filing for Chapter 7 bankruptcy earlier this year. Now, his former employees at the restaurant have filed a lawsuit against the rapper and his business partner for fraud. The Blast reports that T.I. and his Scales 925 business partner have been hit with an amended federal lawsuit from their former employees for unpaid wages and overtime. The employees previously sued T.I. and his partners for using the money from the restaurant for their own personal gain. They also claimed that the owners paid themselves incredibly high salaries while the business itself was spiraling. The ex-employees now accuse T.I. and his partner, Charles Hughes, of hiding hundreds of thousands of dollars for themselves when the business began declining. 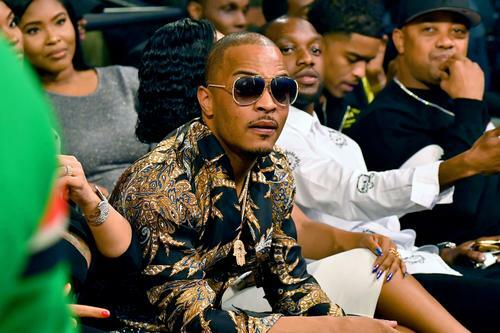 They claim they discovered new information that alleges both T.I. and Hughes made bank transfers totaling $663K from Scales 925 to themselves. Now, they want Tip and Hughes to cough up that money. In February, T.I. was ordered to pay up $78K after he and his partners reached a settlement with a group of ex-employees from the restaurant. The employees' original lawsuit was over the owners screwing them out of overtime pay. However, the employees accused the rapper of defrauding them by allegedly transferring $40K to himself and his partners instead of paying out the settlement.